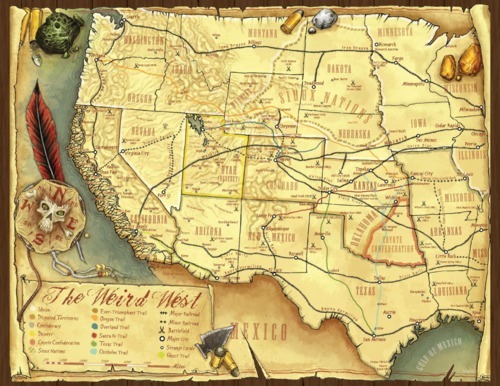 Welcome to the home for our Weird West adventures. For these campaigns we use the Deadlands setting (for Savage Worlds, by Pinnacle Entertainment). These are no ordinary Wild West adventures - there is always a bit of the weird, from walking dead, priests channeling divine power and mad scientists working with ghost rock to empower all sorts of gizmos, contraptions and automatons. 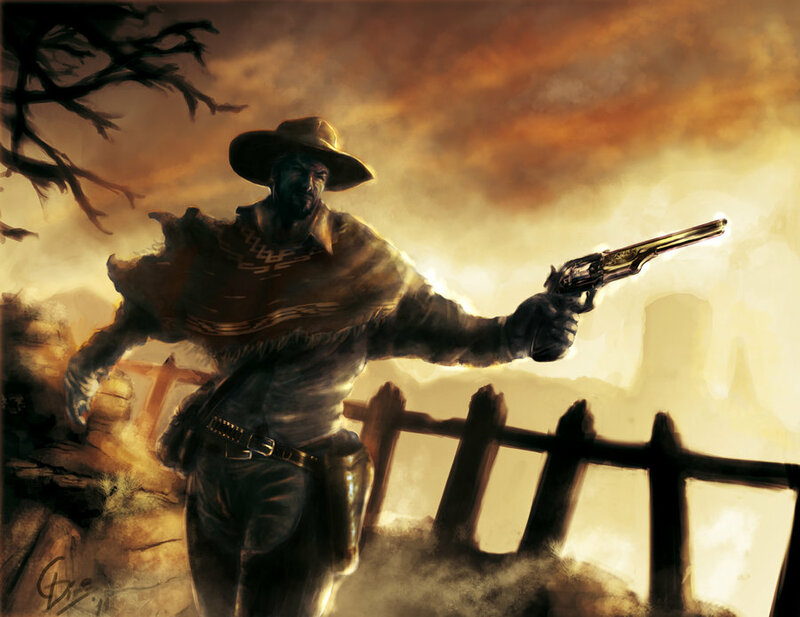 Things went wrong some time during the Civil War and from that time on, the history of Deadlands differs to our own world history. Consider it an alternate universe if you will. 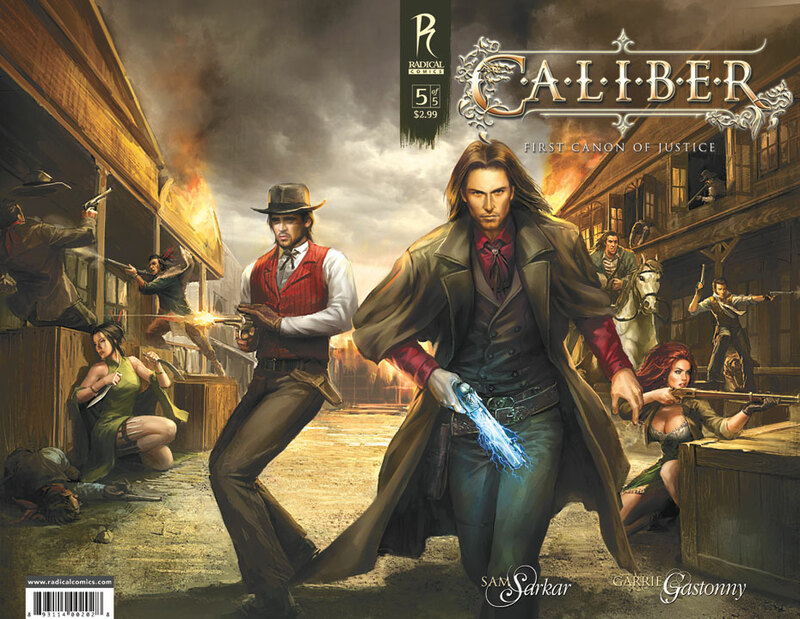 For further information on the setting I suggest you check out the Deadlands Reloaded Player's Guide and other products here at the Pinnacle store. The picture from of the street scene from Calibre Magazine below illustrates perfectly the types you might encounter in this setting, including the Native American shooting the rifle, to the Chinese Martial Arts expert, to the gunslingers with a little Weird Science/Steam Punk/Magic going on. Aug 17th, 2016 - Added a Weird Scientist Type for our Cypher System game. See Concepts (Types & Foci) Page. Aug 15th, 2016 - Added a Huckster Type for our Cypher System game. See Concepts (Types & Foci) Page. Sept 21st, 2015 - New Colorado Campaign PC Page added. (Changed name of old Colorado campaign to Chicago Campaign - as they never even got to Colorado). Sept 7th, 2015 - Changed theme. Added info to Cypher System Types & Foci Page. - Redid this page, inc adding info on Campaigns.